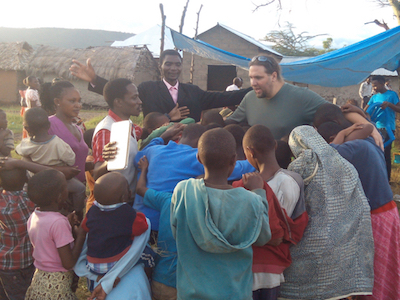 Kashabba Tribe Ministries was started in 2007 in Maryland as the communicative and support vehicle for me (Peter Neuberger) as I left behind the world I knew and moved to the one God called me for in Tanzania, Africa to minister the gospel of Jesus Christ. Merely two months later I met my future wife, the lovely Rebekah Donelson, as she attended a ministry trip I was helping to coordinate in Dar es Salaam. The following year we were engaged on the shores of Boracay Island in the Philippines. A year later we married in her hometown of Wasilla, Alaska. A year and a half later we welcomed the first of three little girls into our family. 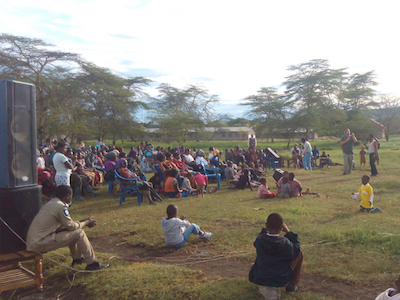 We are currently located in Moshi, Tanzania at the foot of Mt. Kilimanjaro, the highest mountain in Africa. Kashabba Tribe Ministries is officially recognized as a non-profit by the state of Alaska. We also enjoy 501(c)3 status with the United States government as well. We exist to bring the revelation of the Father’s love as revealed through the life, death, and resurrection of Jesus Christ to the nations. It is our heart’s desire to release this revelation though ministered love and manifested power in Holy Spirit in the same manner as Jesus when He walked the earth. We are compelled to give away freely that which we have received as we have experienced life transformation through this grace, this love. We desire to see the lost, broken, and forgotten come into experiencial knowledge of this Truth: “For God so loved the world, that He gave His only begotten Son, that whosoever believes in Him, shall not perish, but have everlasting life (John 3:16). Kashabba is a fun, spiritual word that was birthed in a leadership meeting in Peter’s home church in 2003 after a wonderful corporate time of experiencing God’s Presence. Kashabba can be defined as the experience of the glory of the Father’s love resulting in the Kingdom of God being manifested into an atmosphere bringing transformation (2 Cor. 5:17-19) through salvation, healing, and deliverance in love, peace, and joy, with miracles, signs, and wonders following sons and daughters of God. The Kashabba Tribe is simply the family of believers who value and desire to experience the love of God (John 3:16) and bring the hurting, broken, and lost into the experiential truth of this love. We long to see the transforming love of God released in the nations and partner with God to see this longing fulfilled as He desires and wills.